We are looking for the perfect fit, maybe it's you? 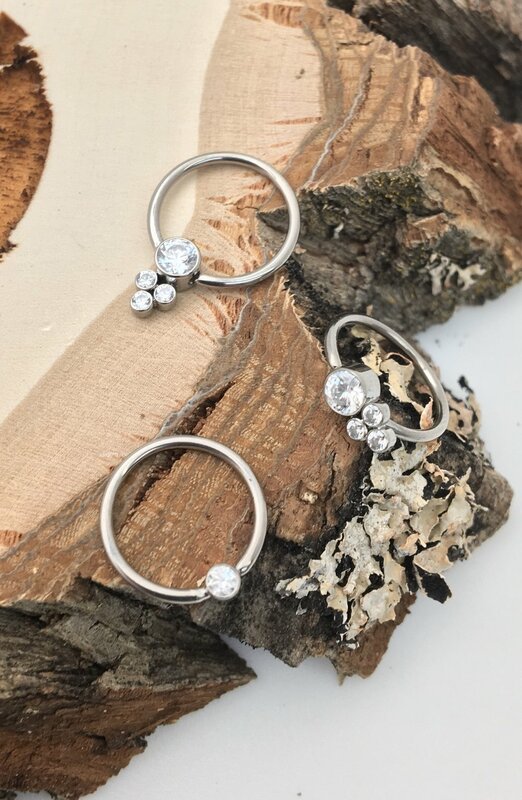 We have a passion for piercing and jewelry. We want someone who is great with people, is a team player with a good attitude and understands that client service is about much more than a fake smile and a "May I help you?" Our standards are high and the right person for this job will see that as a good thing and as a challenge, not something to be scared of. We currently have an opening for a piercer at our studio. 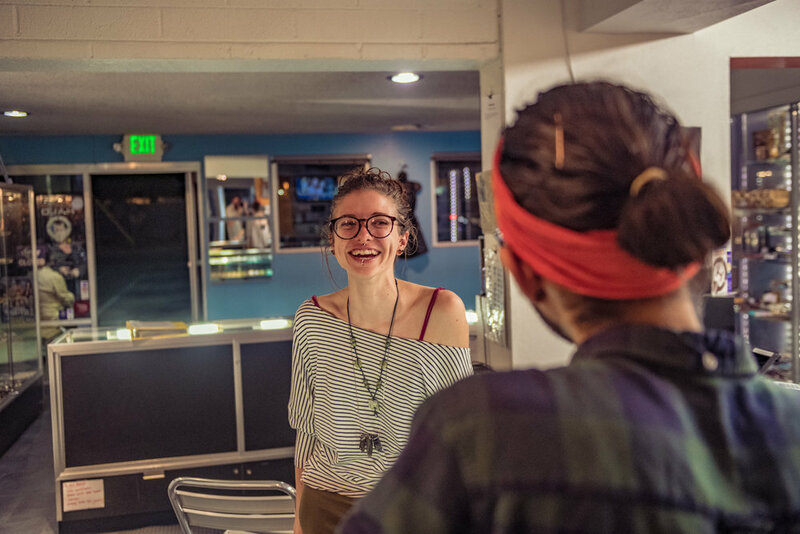 In addition to piercing clients, this detail oriented customer service position involves answering jewelry and piercing-related questions as well as helping clients pick out jewelry for new and existing piercings. You will check IDs, help clients with paperwork and ring the client up for purchases. Your primary focus will be customer service, making our clients feel comfortable and being as helpful as possible while you pierce them. You must be able to retain information, pay close attention to detail, multi-task and remain super friendly in an environment that can be fast-paced and a little stressful at times. We are looking for a team player with the right attitude, not a specific look! You must have at least two years full time piercing experience in a studio and have good hygiene. This position will be four to five days/week (35-40 hours/week). Must be available nights and weekends (the more open your schedule is, the better.) Previous face-to-face customer service experience is mandatory, as you will assist at the counter also. Did we mention that you need to be friendly and outgoing? Basically, we want someone who is great with people, is a team player with a good attitude and understands that client service is about much more than a fake smile and a "May I help you?" Four professional references and two personal references required. Our standards are high and the right person for this job will see that as a good thing and as a challenge, not something to be scared of. Health insurance, paid sick time and jewelry discount perks. Pay will vary depending on experience. Scroll Past the Jewelry Specialist section for more details. Please note: At this time we are open to evaluating applications who are apprentice level. We have an opening for a counter sales in our piercing/jewelry area. This job is all about customer service, making our clients feel comfortable and being as helpful as possible. The position involves answering jewelry questions, some piercing-related questions, helping clients pick out jewelry, checking IDs and helping clients with paperwork. Also, lots of cleaning and standing is required. You must be at least 18 years of age and have good hygiene. Previous knowledge about piercings and jewelry may be helpful, but is not required. You must be able to retain information, pay close attention to detail, multi-task and remain super friendly in an environment that is fast-paced and a little stressful at times. Enthusiasm and interest in piercing are an obvious plus, but you do not have to be heavily pierced to get this job. We are looking for someone with the right attitude and not someone with a specific look. We will provide you the training you need to do the job and we will let your fantastic personality and customer service skills to do the rest. This position will be for 4-5 days/week (20-25 hours/week). Hours will vary each week and occur between 10:45am to 8:30pm. Must be available nights and weekends (the more open your schedule is, the better). Previous face-to-face customer service experience is mandatory (2 years required). This position will not lead to a piercing apprenticeship. Basically, we want someone who is great with people, has a good attitude and understands that customer service is about much more than a fake smile and a "May I help you?” Our standards are high and the right person for this job will see that as a good thing and a challenge and not something to be scared of. Bring in a resume and fill out an application (should take about 30 minutes). Resumes and applications can be turned in Wednesday through Saturday noon to 6pm. Applications that are emailed or mailed to us will not be considered. Employee discounts & get paid to be you. Health insurance only if you are full time. Bring in a resume with four references. A DVD or link of you performing at least three different piercings if possible. A portfolio or link of new and healed piercings you have preformed. These items can be turned in Tuesday Through Saturday noon to 6pm. Send your resume wit a link to your portfolio and videos to: halocontacts@gmail.com. Bring in a resume and fill out an application (should take about 30 minutes). Please do not email. Weekly we receive inquiries concerning apprenticeships with HALO Piercing & Jewelry. While we are pleased to see such avid interest in the industry, we are unable to accommodate an apprentice at this time. A piercing apprenticeship is an intensive process that requires an immense amount of time and effort on behalf of not only the apprentice, but the senior piercers as well. Aspiring body piercers should be First Aid/CPR certified and should attend an OSHA blood borne pathogens training class before beginning their training in sterilization, disinfection, cross-contamination, and other health and safety issues. Finally, an apprentice must devote several months to the close observation of all procedures/piercings before spending a minimum of one year in full-time supervised training. Unfortunately, because we are so busy at this time we would not be able to provide the intensive one-on-one attention and training that any aspiring body piercer deserves. Thanks for applying! We will review your information and if we think your a great fit, we will contact you for an interview. Due to the large amount of applications we receive each week, we cannot respond to all applicants.